Carolyn Boroden has always been fascinated with the markets, and has made it her life’s work to become the Queen of Fibonacci as she is known. The ‘Golden Ratio’ has been her go-to trading tool since 1978, and she is keen for others to understand it as well as she does. It isn’t always easy, though. Carolyn Boroden is a commodity trader advisor and technical analyst – she is well known in the trading world and for good reason. 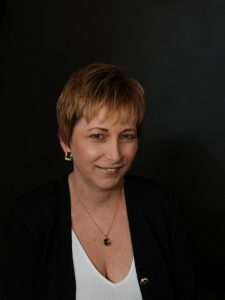 Known as the Queen of Fibonacci, Carolyn began her trading journey on the floor of the Chicago Mercantile Exchange in 1978; she has witnessed many changes over the years, and is an expert when it comes to how trading works. Carolyn has written books, appeared on TV and in magazines, and it’s all down to her expert knowledge of Fibonacci, or the Golden Ratio. This has given her and her mentees a big edge in their trading. The obvious reason for using Fibonacci is that you can see things that other people will miss thanks to key indicators that you can only find using this technique. It gives you a snapshot of the market, and it gives you indicators to get into a trade. However, Carolyn Boroden prefers to see something more concrete before committing. She uses moving average crossovers, for example. Using indicators is fine, she says, as long as you know what to look for. At the beginning, Carolyn was interested in taking the basic technical analysis course which she had read about in the book by Magee and Edwards, and she took that and enjoyed it. She started working on that premise, but then she was introduced to the idea of attending a seminar by Robert Minor that changed everything; it was, she says, the moment the lightbulb came on. Fibonacci sounds very impressive to those just starting out, but there are many grey areas and many people get it very wrong from the beginning. It’s hard to do all by yourself – you need to be trained at least a little bit. Plus Carolyn Boroden does her own Fibonacci trading a little differently to others (she uses timing of the markets, for example, to run measurements between highs to highs and highs to lows), so it really is a personal thing. Timing works best on the daily charts if that is how you want to move forward. 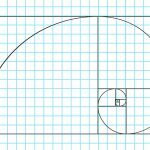 Different people use different Fibonacci numbers – there are a variety. Carolyn Boroden has her favourites and they include 382, 50%, 618, 786, and for extensions, 1618 and 2618, and then the three-pointed tool to compare swings in the same direction, it’s 100% for symmetry projections, and occasionally 1618, but not too often; she can usually find trades using standard retracements. 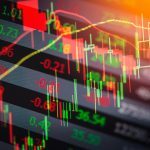 Carolyn Boroden says that it’s difficult to trade on the daily timeframe with Fibonacci because the triggers come too late. She prefers to use the lower timeframe charts because the triggers come up at the right time for her to trade successfully. A moving average crossover might signal an entry – that’s the typical way of seeing it. 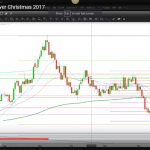 In terms of management, Carolyn Boroden typically only uses a small amount on her trades because she has around 20 entries a day and has to updates hundreds of charts. However, for those who have more time to keep an eye on the trades, there are multiple opportunities to get involved in a trade after the initial entry. Trade what you see, not what you think. It’s impossible to know anything without seeing it. You can have an idea of what you think may happen, but if you don’t have the parameters to trade, you’re not going to trade just because you think it might be okay, or someone else said it would be. You wait. It’s all about the charts being right, not about an opinion or an idea. The steps to market newcomers when looking at Fibonacci should start with Technical Analysis for Dummies to begin with, assuming they’re not familiar with the charts. Then they can take it to the next step, reading Carolyn Boroden’s own books to get a better idea of price relationships with Fibonacci. To go beyond that it’s about timing, and very few traders use it. Carolyn is one of them because when time and price come together they are some of the very best setups you will ever see. A lot of Fibonacci takes common sense. If, for example, you open up a five minute chart and you see a new low and a new rally swing, you’re going to want to take the prior holdbacks or declines within the uptrend and then project those from any new high. Symmetry will definitely improve your trading; it can be enough – it’s simple but powerful when comparing swings in the same direction. Swings in one market are going to be similar to swings in other markets. Since the 1970s when Carolyn Boroden started, there have been many changes. Cryptocurrencies are the newest thing, and she thinks they are here to stay. However, she thinks there is a big risk with them because if they become regulated suddenly, you could lose everything. Plus with so many people getting involved, it’s much more likely that it could all collapse.